NEW HAVEN — It isn’t often these days that young professionals return to Mason County after graduating college, but Dr. Kayanna Sayre, DDS, is doing just that. 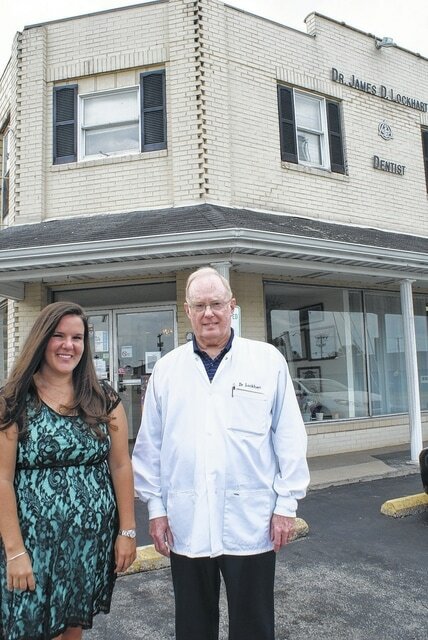 Dr. Sayre has purchased the dental office of Dr. James Lockhart in New Haven and anticipates opening in early August. Meanwhile, Dr. Lockhart is retiring, with his last day in office being July 9. Dr. Lockhart said Dr. Sayre, who was born and raised in Mason County, told him as an eighth grader that she was going to be a dentist. “I took her at her word, and even worked a couple extra years,” Dr. Lockhart said of the transfer of ownership. The daughter of Mike and Rhonda Sayre, of New Haven, Dr. Sayre completed a one-week internship at the local office in December. She is a May graduate of The Ohio State University College of Dentistry, and earned a dual bachelor’s degree in chemistry and biology from the University of Charleston. “I’m confident my patients will be well taken care of,” Dr. Lockhart said. He added since she is a recent graduate, Dr. Sayre will be up-to-date on the many new dentistry practices. Dr. Lockhart said the office will maintain continuity, but there will be some changes. Dr. Sayre will be accepting new patients of all ages. She will also be doing extractions and root canals, something Dr. Lockhart has not performed since 1999 when he suffered a heart attack. All current patient records will remain at the office. The dental assistants will also remain, including Beth Foreman and Lori Crane. Business office managers will be changing, however. Dr. Sayre’s mother, Rhonda, will be replacing Dr. Lockhart’s wife, Shirley, who will also be retiring. Dr. Lockhart has been at the New Haven office since July 1978. He remains on the Pleasant Valley Hospital Board of Trustees, where he has twice served as chairman. He and Shirley have two daughters, Heather Lloyd and Dr. Carrie Dillard, as well as four grandchildren. Dr. Lockhart said he plans on staying in New Haven. The transition is a combination of bitter-sweetness and excitement for the two dentists. Dr. Lockhart said he has really enjoyed meeting and becoming friends with his patients over the past 37 years. “They become like family,” stated the elder dentist. Meanwhile, young Dr. Sayre is enthused about starting this new phase of her life. “I’m excited to start giving back to a community that has given so much to me,” she concluded.